2 month old german shepherd - bites everything!! and eats insects!! 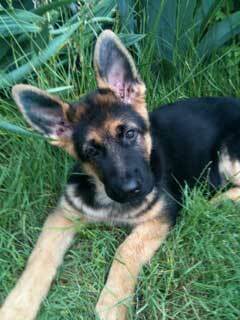 i have a 2 month old german shepherd. problem i am facing with my puppy is that he bites almost everything from shoes to sandles to sofa covers. tried to control but to no avail. also he relieves many times a day and mostly he relieves loose. do i need to take him for walks? i think hes too small and young for outdoor. also he loves to sit in grass and mud. i dont understand why he eats insects. Boy, that's a lot of questions so I'll try and answer them all here for you. First of all, concerning the biting issues and the "mouthyness" - that's very normal for a puppy. Just think about it - dogs check out the world with their mouths - and puppies are especially well known for this. Everything is new to them. So, the answer to this problem - dog training. Don't underestimate the power of training a puppy because all the time you put into them now will be repaid you hundreds of times over as your dog matures. Concerning the "relieving himself several times a day" problem - put him on a fixed feeding schedule and not a free feeding plan and a scheduled time to do "his business" and he will learn when to expect his food and when to do "his business". Plus a high quality food may help the looseness stool wise. Yes, you do need to take your dog on walks. Don't leave it outside all the time but walks are good for socializing your dog, training, exercise and just bonding in general. Mud, grass, insects .... just basic puppyhood 101. Again, if you don't want your puppy in any of these - or in him/her - a good training regime will do the trick. 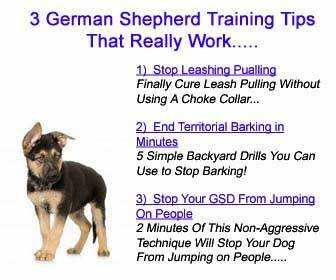 It's best to go to an actual training class for many reasons if you can but if not, and if you want to do it yourself check out the program I've suggested above - just click on the graphic with the GSD puppy to learn more about it.